A proposed radio-TV tower in McHenry County would be even higher. McHenry County College has proposed erecting a really tall radio-TV tower, even taller than the Sears Tower. "The tower, if built, would greatly improve TV and FM radio reception in the area and could help the college pay for future construction projects," the Northwest Heraldreports. 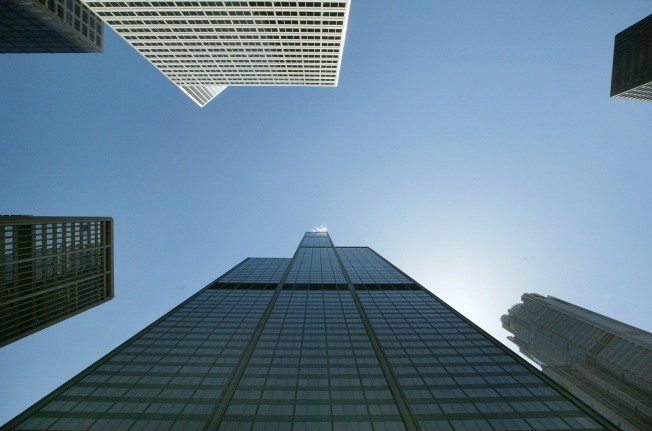 By contrast, the Sears Tower is 1,450 feet high - not counting its antennas. "Oklahoma-based BMB Communication Management LLC wants to buy 3.6 acres of land on MCC’s Route 14 campus for the construction of the self-supporting tower, which would broadcast Chicago- and Rockford-based radio and TV signals," the Herald reports. "BMB will appear before the McHenry College Board at 7 p.m. Feb. 18 to show college trustees its plans to purchase the land for $6 million." Cal Skinner appears to have broken the story last year on his McHenry County Blog. On Wednesday, Skinner asked college president Walt Packard about the tower and Packard said, "Yeah, it's tall."